Tuff Flags has a range of Outdoor Flag Mounting Kits that feature brackets, ornaments and unfurlers for residential, commercial and holiday uses, all offeredat the best prices. 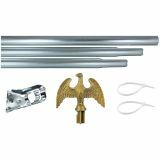 These mounting kits feature Steel Pole, gold colored eagle, brackets and ties to ensure a beautiful flag presentation. Choose from a range of choices like residential, standard, deluxe, mainstreet and economy flag mounting kits to match your needs. 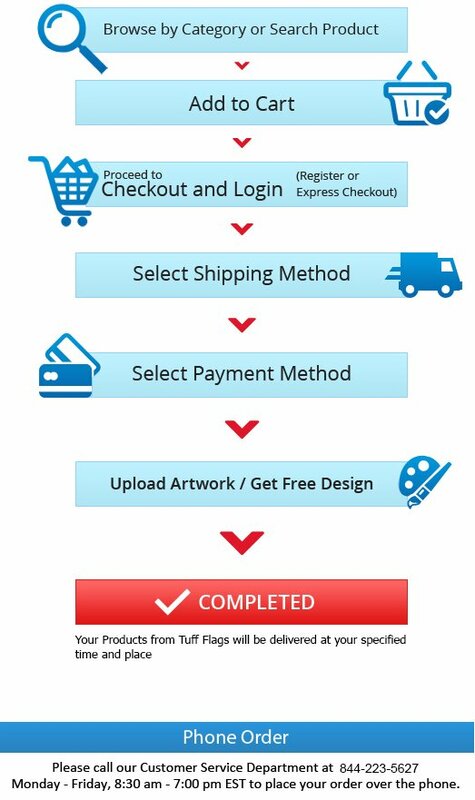 Shop right away and avail the advantage of the best prices, quick shipping and much more! 100% customer satisfaction guaranteed! 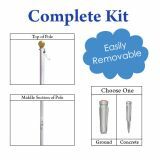 Outdoor Flag Mounting Kits- Nothing But The Best! Give your home a fresh look or dress up your stores with our elegant Outdoor Flag Mounting Kits. 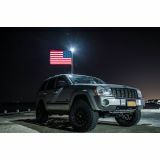 Proudly display an American flag, a military flag, a sports flag or even a personalized flag that's special to you. Our fibreglass mounting sets are designed to last long and to weather the outdoor elements with ease. Flag mounting kits from Tuff Flags range in price and size, so choose a kit that is appropriate to the dimensions of the flag you wish to fly. Even the best quality flags might lose its sheen and beauty but for the right set of accessories. 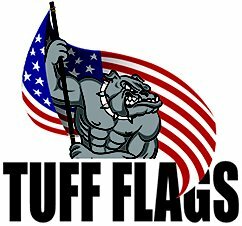 So, make sure you have the perfect flag mounting hardware items from Tuff Flags for your forthcoming events. Outdoor Flagpoles: From inground to telescopic and wall mounted poles, we have flag poles that will let you to display your flag anywhere you like. Made in USA, these poles will be a wonderful addition. 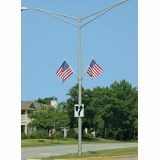 Brackets: We offer a complete line of flagpole brackets in various assorted sizes and material choices. Ornaments:Tuff Flags sell flagpole ornaments such as eagles, ball tops, spears and replacement components, which will enhance the beauty and elegance of the flags. Unfurlers: Choose from a range of unfurlers and fasteners that will prevent your flag from tangling around its pole ensuring a longer flag life! Shop for the best and latest flag accessories at Tuff Flags or call us at our toll free number (888) 287-3524 or email us at customercare@tuffflags.com and we can assist you.